MREA welcomes Joe Gould to its Legislative Action Team. Joe will be working alongside Sam Walseth, MREA Director of Legislative Action, at the Capitol on the issues that affect Greater Minnesota schools. Joe will be instrumental in helping MREA bring you news and its impact through the MREA website, email, Twitter (@mreavoice) and Facebook (facebook.com/greatermnstudents). Joe grew up in La Prairie, near Grand Rapids and the Iron Range, as a fourth-generation Northern Minnesotan. He was raised by a family with strong labor and public service roots. 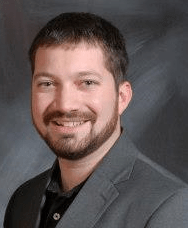 He is a graduate of Itasca Community College, Bemidji State University, and has a Masters in Organizational Management with a Public Administration focus. Joe has worked in the public, private, and nonprofit sectors over the past several years working on campaigns, for campus security, door-to-door sales, and communications for the Blandin Foundation. Most recently, Joe was employed at the Minnesota House of Representatives as Legislative Assistant to the Education Finance Committee and two Greater Minnesota house members. Before this he was substitute teaching and serving on his hometown city council. Joe Gould is a lifelong community volunteer and married to his wife, Gwenia. When he’s not following legislative issues, he enjoys spending time with their pug-terrier, Jane, spending time outdoors, watching hockey and kicking back with family and friends.